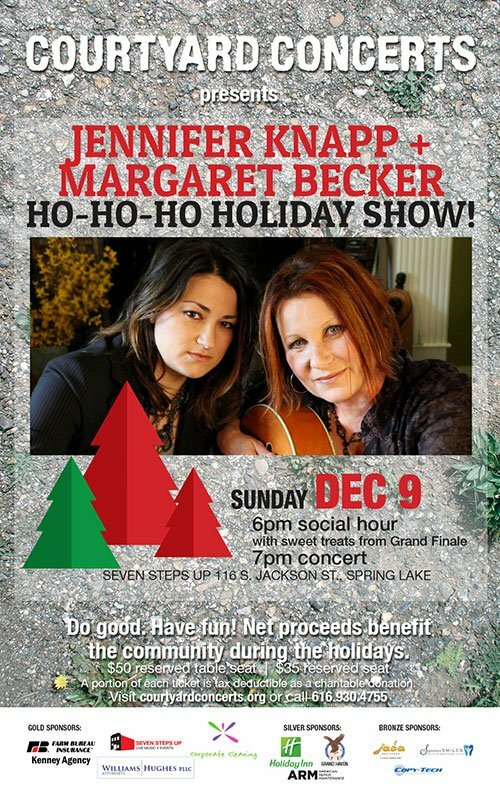 Kick off the holiday season at the 25th Annual White Lake Area Holiday Walk! On Friday and Saturday, November 17th and 18th, enjoy special promotions and holiday fun with extended shopping hours at 25 local businesses throughout Montague & Whitehall. Celebrate with all that our quaint towns have to offer with free horse drawn carriage and trolley rides, the community tree lighting ceremony, carolers, and even a visit from Santa! This year’s Holiday Walk Gold Sponsors are Scheid Plumbing, Heating, & Cooling and Shelby State Bank. Silver Sponsor is Coldwell Banker Woodland Schmidt. Bronze Sponsor is White Lake Agency. 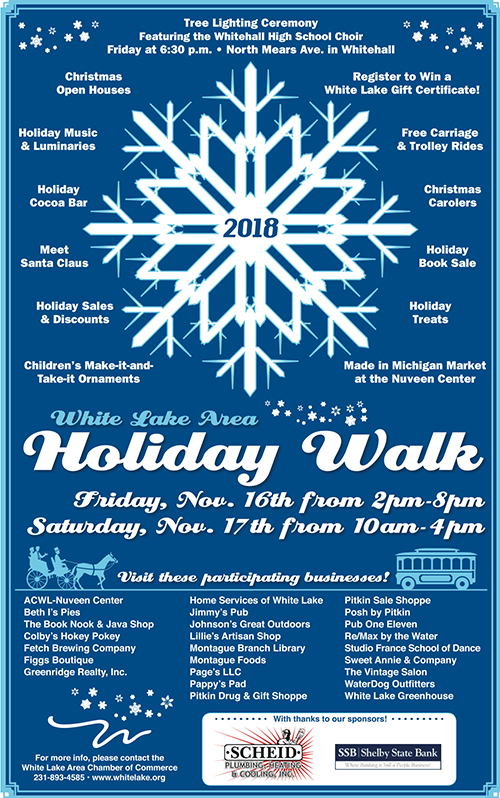 For a full list of participating Holiday Walk businesses and activity times and locations, contact the White Lake Area Chamber of Commerce or visit us online at whitelake.org.